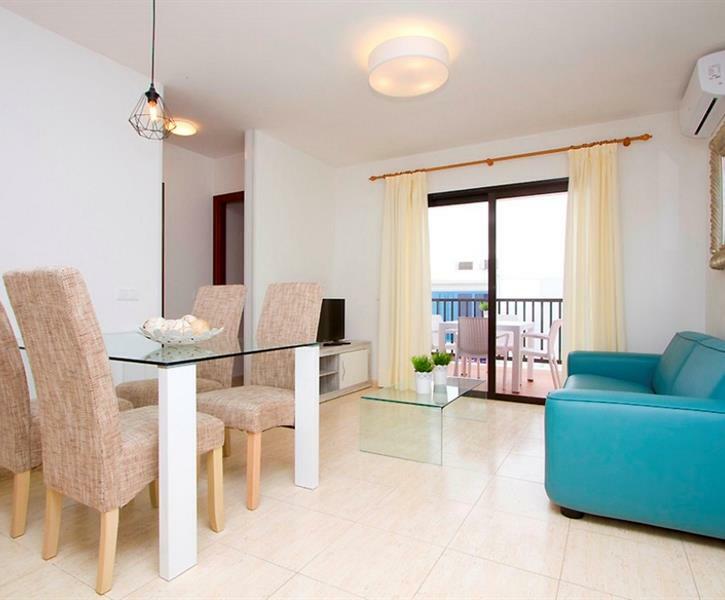 Apartment with two bedrooms, one bathroom, in the center of Playa Blanca, WiFi and Air Conditioning included. Apartments recently renovated. It consists of two bedrooms, a bathroom, living room, fully equipped kitchen. It is located in the center of the town of Playa Blanca. There is air conditioning in the bedrooms and in the living room. It also has free WiFi. In stays of seven days, it has a service of change of towels with review of cleaning included in the price.